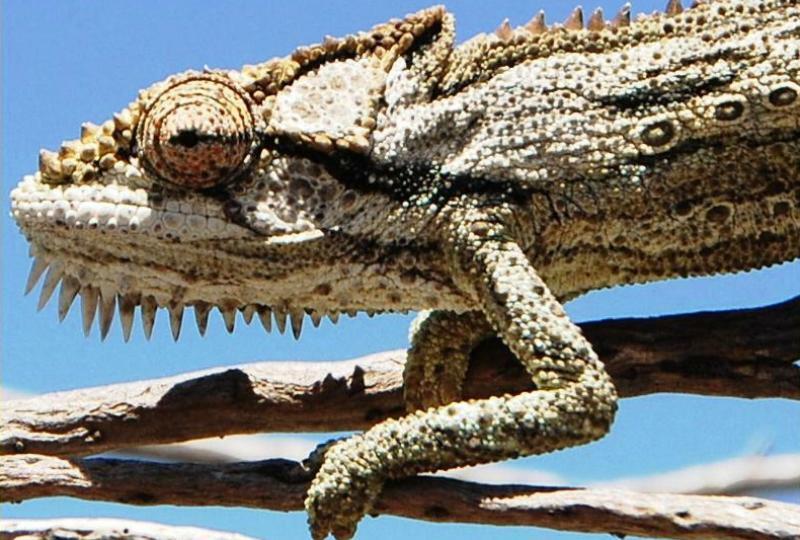 Traditionally reptiles and amphibians have struck fear into the heart of mankind all over the world, but particularly in Africa where the warm temperatures and dry climatic conditions make them abundant. In South Africa they are persecuted mercilessly, a result of superstition and fear. In truth they are little understood and their environmental roles are largely shrouded in disinterest and trepidation. The vast majority of snakes are in fact non-venomous and the chances of being bitten are incredibly small. Indeed you stand a better chance of being attacked in the ocean by a shark. 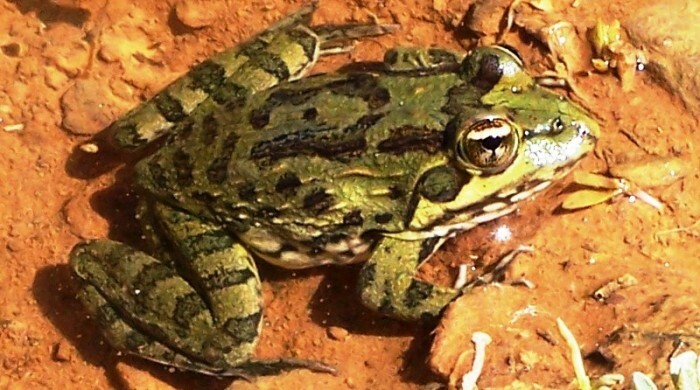 Interestingly, 18% of amphibians and 25% of reptiles are threatened. Sightings of the more venomous snakes are uncommon, but one may be lucky enough to come upon the beautiful diamond-patterned light and brown body of a basking puff-adder. Although these snakes are short in length, they strike incredibly quickly due to the concentration of muscles in their compact build. The Golden Yellow Cape Cobra lives up to its name, being a brilliant yellow-gold in colour. An interesting interaction takes place between it and the Southern Pale Chanting Goshawk, which is a common raptor on the reserve. A large part of the snake’s diet consists of rodents, who in turn have developed techniques to avoid capture, such as having one or more escape routes leading from their burrows. The Southern Pale Chanting Goshawk will follow the Cape Cobra and steal its meal by capturing the rodent as it escapes its pursuer via one of these tunnels. Snakes play an essential ecological role in maintaining rodent populations, which in turn determines the amount of plant material available to other herbivores. 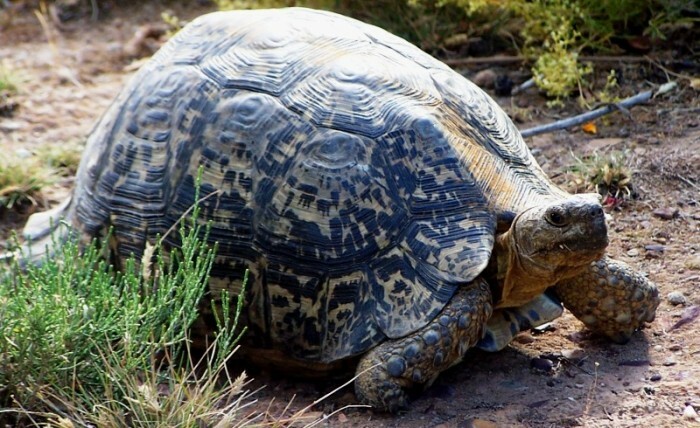 Summer visitors may come across one or more tortoises during their stay. The Angulate Tortoise is common and may be encountered crossing roads. The liquid that is given off when a tortoise is picked up is a defence mechanism, which also serves as a “water bottle”. 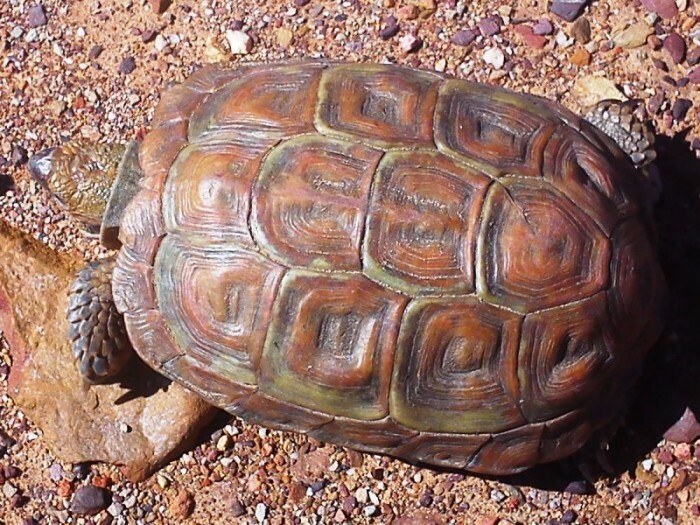 Picking up tortoises is strongly discouraged in arid areas where one can seriously compromise the life of a chelonian during times of drought. The large Mountain- or Leopard Tortoise is significantly larger and is the heaviest tortoise in Southern Africa, weighing on average between 8 and 20 kilograms. They can live for up to 75 years and are vegetarian, the diet consisting of annuals, succulents and grasses. Marsh Terrapins can sometimes be found in watering holes, watercourses and dams. 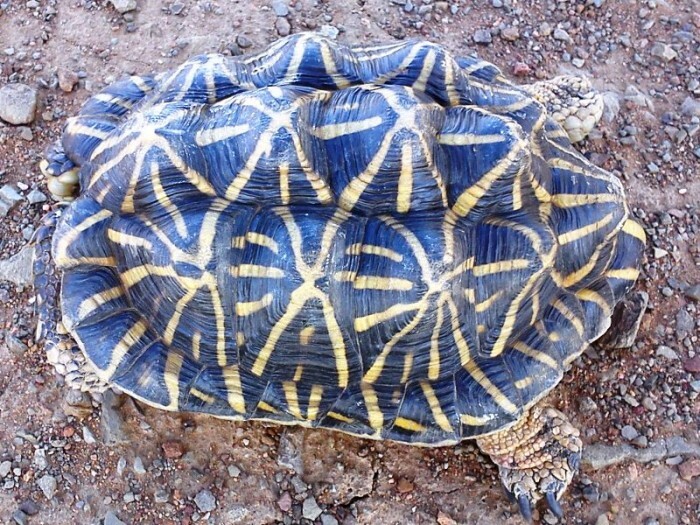 These chelonians can be described as “a cross between a turtle and a tortoise”. Terrapins are able to live on land or in fresh water. 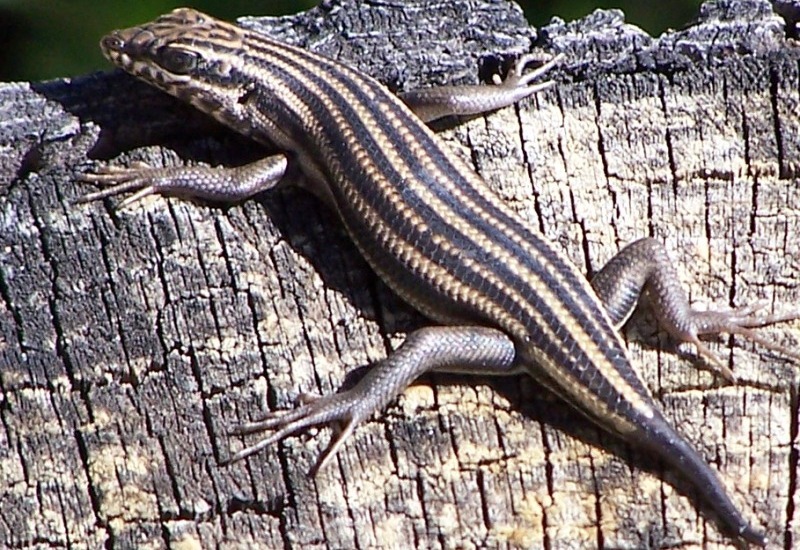 They are carnivorous, feeding on aquatic larvae and fish and sometimes ambushing small birds at watering holes. During dry spells they burrow into damp mud and aestivate until the rains come again. In the spring and summer months, you may be visited by Bribon’s Thick-toed Gecko, a delightful large gecko with a light to dark brown speckled body with scattered white spots and a long tale that is wide at the base. The gecko has specially adapted fingers and toes for climbing and is the only lizard that is able to produce a sound. They have no eyelids and lick their eyes with the tongue in order to keep them clean! 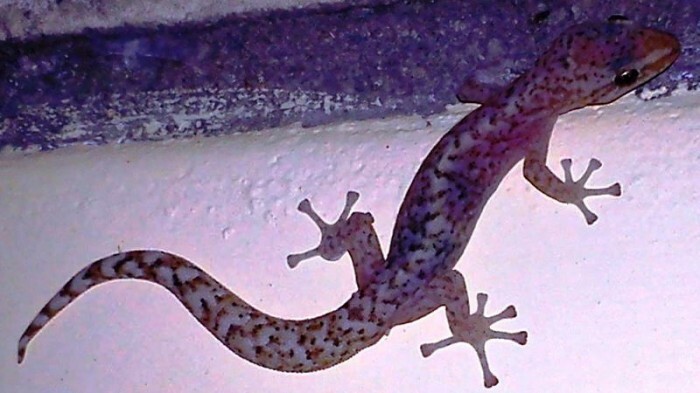 Geckos are extremely helpful in reducing numbers of flying insects, especially in spring. Other lizards display interesting defensive or breeding colours, such as the male Southern Rock Agama, which sports a bright turquoise head during courtship. You may even witness the grand territorial fights that take place between the males during this time.